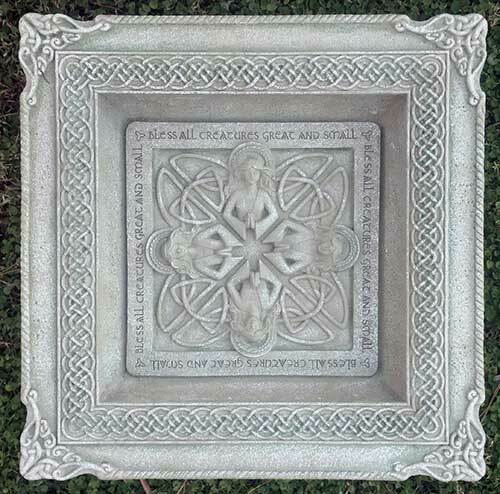 Irish bird bath features Celtic knot-work along with angels and a blessing. Due to the weight and size of this Irish bird bath, it ships separately and ONLY by ground freight. Typical delivery is 5 - 7 days. 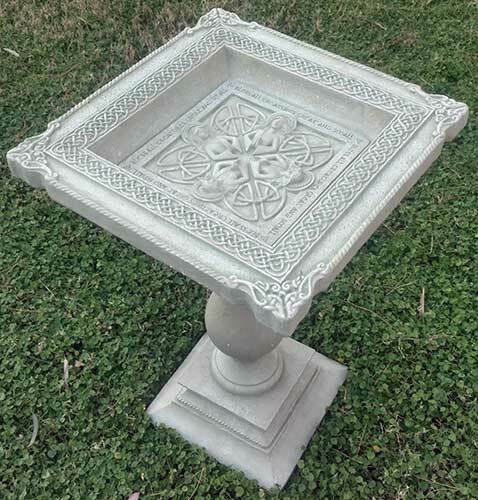 This Irish bird bath, with its Celtic knot-work and angel motif, will look impressive in your garden. The Irish garden decor is further enhanced with a blessing that says, Bless all creatures, great & small. 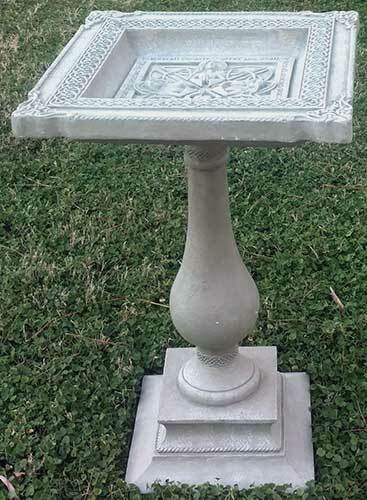 Weighing over 30 pounds the Irish angel bird bath is made of cement and resin and measures 15" square on top x 23" tall. The Irish blessing bird bath is boxed with a Celtic knot history card that is complements of The Irish Gift House.